There was a lot begin made of today’s 25th anniversary of the Berlin Wall’s demise. When game #2 started 1.e4 e5 2.Nf3 Nc6 3.Bb5 Nf6 all the puns started about the Berlin Wall started, but Carlsen played 4.d3 avoiding a wall that has not been dismantled in top level play. Others anticipated a Najdorf Sicilian. While there was no symbolic main line Berlin Defense on the anniversary of the wall’s dismantling, Carlsen dismantled whatever Anand erected. Anand was looking for a playable position, but instead fell slightly behind in space. Carlsen surprised even further with 12.Nxb6!? 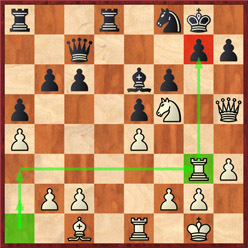 which straighten black’s pawns 12…axb6, but allowed him a freeing 13.d4. Carlsen’s 14.Ra3 is not a typical “ROVER” but the idea is not new. The rook would soon help launch a dangerous attack as four pieces were aimed at the black monarch. 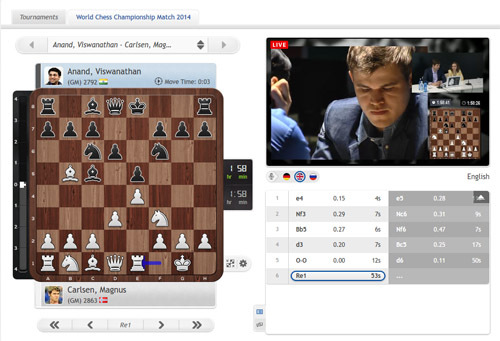 Carlsen came up with an inventive “ROVER” or “rook up and over” maneuver that eventually helped him gained an edge. 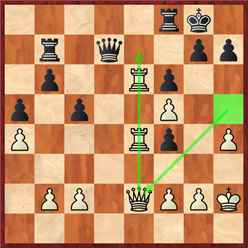 Anand later collapsed under pressure. While white looks to be attacking it was really a plan to seize control of the center. It was interesting how white abandoned the useless d-file, but got an “Alekhine’s gun” on the e-file to get a decisive advantage. However, Carlsen failed to strike with 29.Re7! and played 29.b3?! This allowed Anand to slide back into the game. Anand almost fought his way back into the game, but stuff happened. 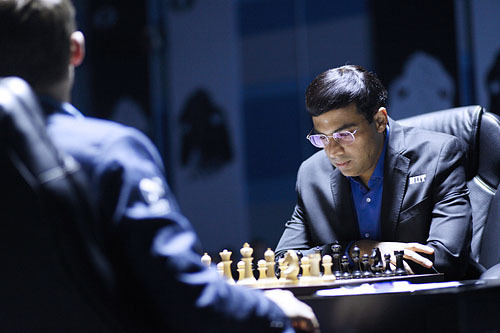 Will Anand strike back immediately as he did against Gelfand ? The plot thickens!